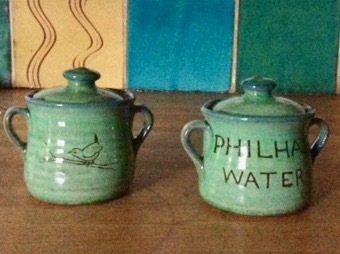 Philham Water Cottage is a fantastic base from which to explore either Cornwall to the south, or Devon to the north. NB: the times given below may vary according to the season. 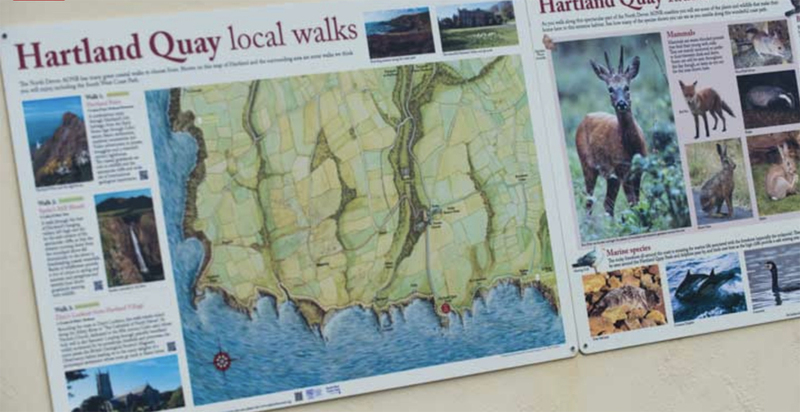 The Hartland Peninsula Together with wonderful walks, this is delightful countryside for riding and cycling. There is fishing on the Taw and Torridge and excellent sailing where the two rivers converge at Instow and Appledore. Bude and Westward Ho! have golf courses. Come to the beach anywhere in the South West of England, turn left or right and you’ll be on the South West Coast Path and on the edge of an amazing experience. Where else can you walk along 630 miles of such superb coastline which makes up the longest National Trail in the UK? The heritage, wildlife, geology and scenery along the way are truly inspirational and every day walking it brings stunning new experiences. The sound of bubbling water follows you almost all the way around this beautiful circular walk. 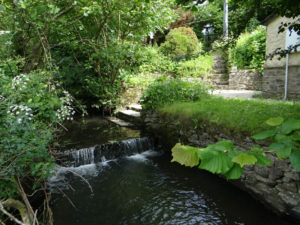 The route takes you along the Coast Path past streams banked with yellow flag irises, foxgloves and campion in the summer, along wooded inland paths carpeted with bluebells and wild garlic in the spring, and quiet farm lanes dotted with primroses. A good walk in autumn, when flocks of migrant seabirds can be seen passing offshore and the stubble of the fields is full of small birds feeding on the fallen seeds. Visitors will be fascinated by the rock formations and the spectacular plunging waterfalls. 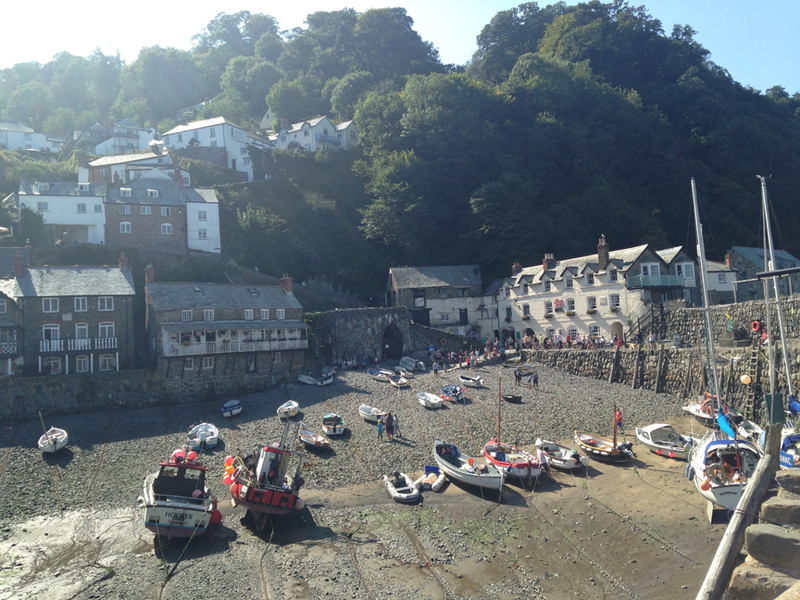 Clinging to the steep cliffs with cobbled paths tumbling down to the harbor at the bottom, Clovelly is an ancient fishing village and is one of the most famous villages in the world, notable for its donkeys and views over the Bristol Channel. Visitors have to park at the top of the hill next to the Heritage Centre as traffic is banned from the high street. Wear comfortable shoe for the steep cobbled hill down. 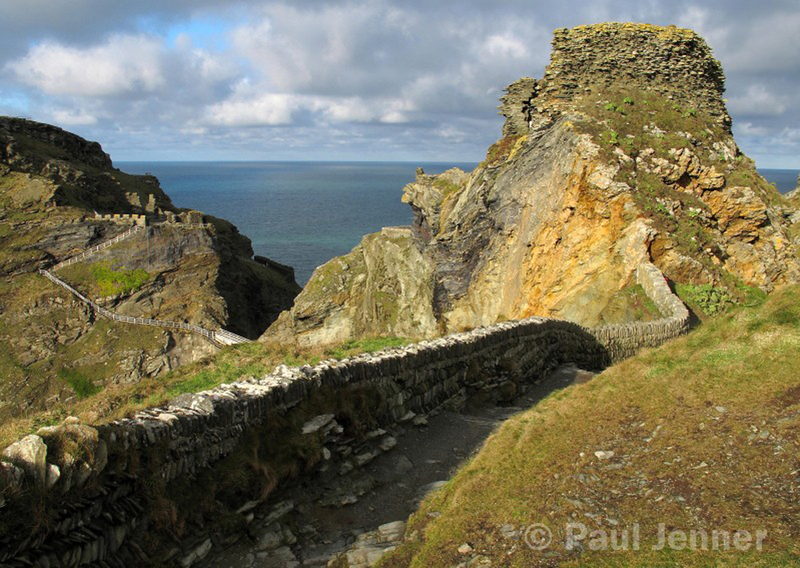 Immerse yourself in history, myths and stunning scenery at Tintagel Castle, set high on Cornwall’s rugged north coast between Padstow and Bude. Inextricably linked with the legend of King Arthur, (and reputed to be his birthplace) for centuries this dramatic castle and coastline has fired the imaginations of writers, artists and poets. Now it’s your turn to be inspired. Historic home of the Stukeleys for generations; gardens open to the public with tea-rooms and open-air theatre in the summer. 2019 Opening: Daffodil Sunday 18th March; Sunday 25th March to September 30th: Sunday to Thursday & Bank Holidays (normally closed Friday & Saturday). Gardens, Grounds, Beach Walk, Exhibitions & Tearoom: 11.00 a.m. – 5 p.m. House: 2pm to 5 pm, last admission 4.15pm. 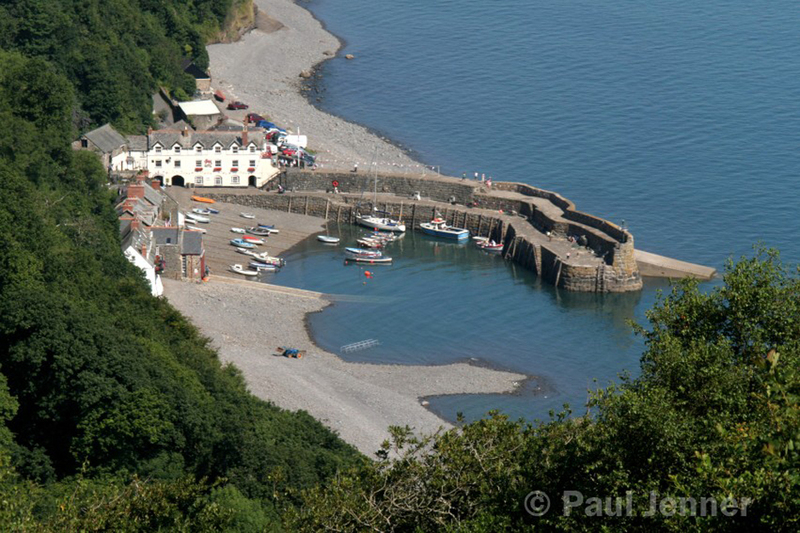 From the Point, you can enjoy fantastic views south to Cornwall and north to Bristol Bay and Lundy Island beyond. There is a great kiosk down by the Hartland Point Lighthouse car park, serving delicious coffee, breakfast and light lunches/snacks. Hartland Quay with it’s famous pub, Shipwreck Museum and superb cliff scenery is a few minutes by car and popular for swimming at high tide, rock-pooling at low tide and for having an evening cocktail while watching the sun sink into the vast Atlantic. 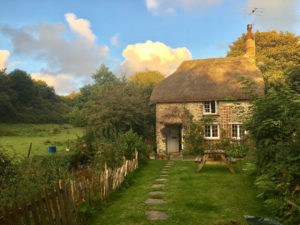 The rural village of Hartland – with 2 potters and a traditional furniture maker, grocery stores, post office, parish hall, three pubs, two restaurants, and a cafe with wifi – is your nearest town and less than two miles away. In summer there is a brass band, plus many other musical activities, a village fete and a flower show. Carnival week is the 1st full week in August (varies each year, see up to date information) and culminates in a grand procession with many amusing and awesome floats on topical themes. Not to be missed! 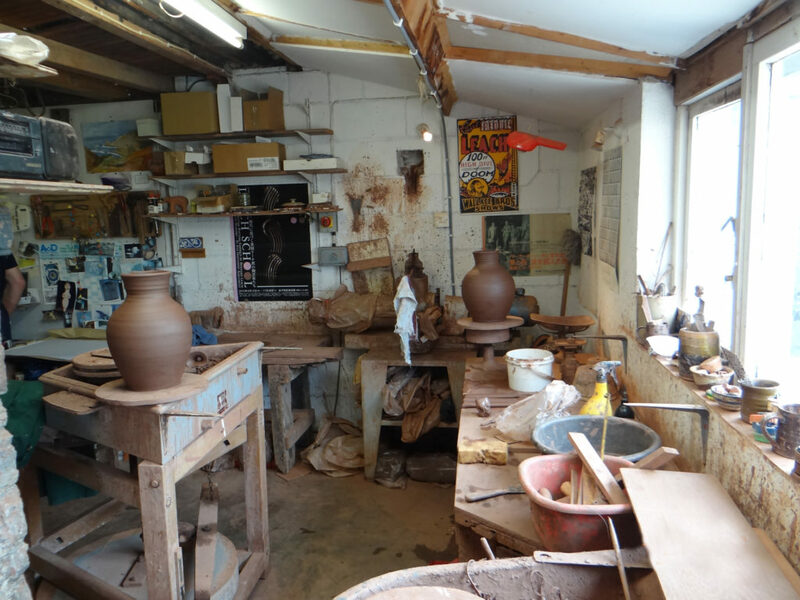 A visit to this pottery in Hartland is a MUST! 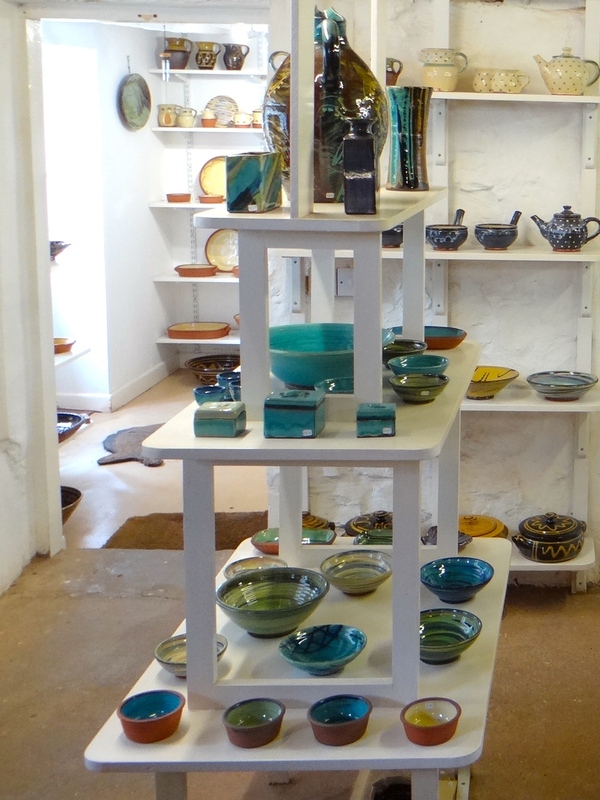 Philip and Franny Leach – related to renowned Bernard Leach – create beautiful pottery with interesting glazes and sell it on the premises at affordable prices. You will see some examples in the cottage. Merlyn’s wood-cuts are exhibited worldwide. Great cream teas! There’s a wonderful garden open to to public. 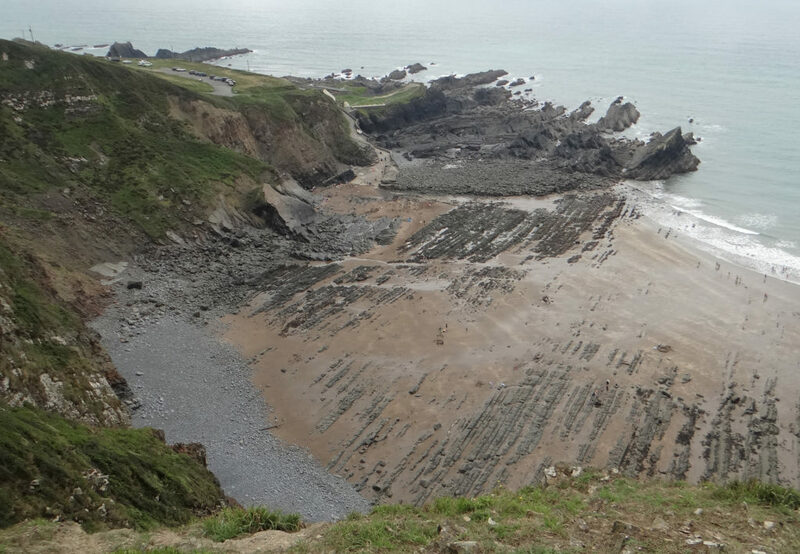 This gentle cliff top walk encompasses breath-taking views of North Cornwall’s coast. 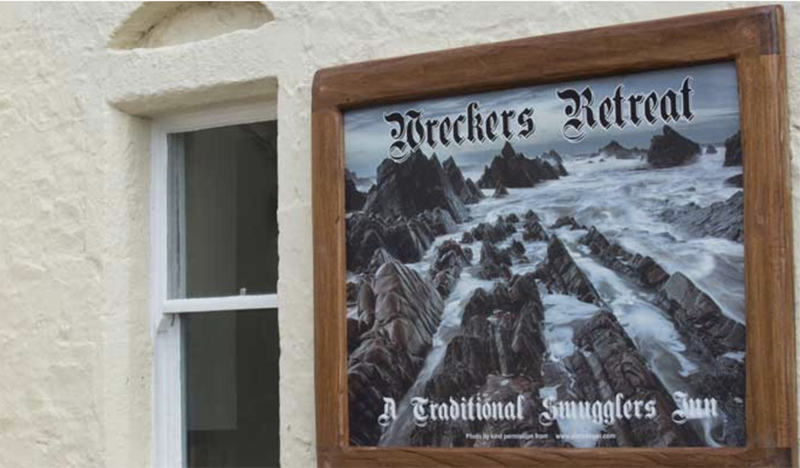 You’ll come across a beautiful church, believed to date back to Saxon times, and of course, Hawker’s Hut, the refuge of poet Reverend Robert Hawker. He would reportedly write poetry and compose his sermons from this inspiring location. 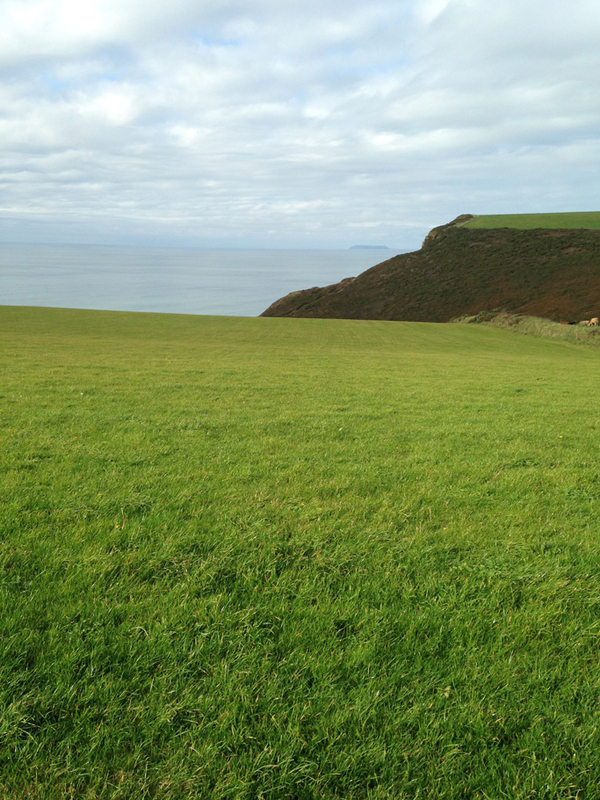 On a clear day, Lundy Island can be seen in the distance. 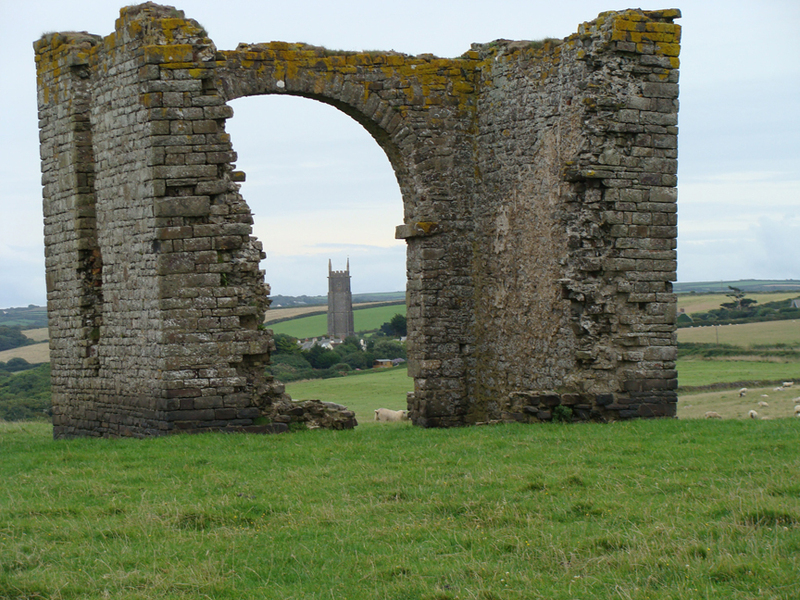 You will park your car outside Rectory Farm Tea Rooms, famous for its lunches and cream teas, and then walk southwards along the cliffs for half a mile. The Hut is not visible from the cliff top, but there is a sign to direct you down gentle steps to the actual Hut. Bideford is a historic port town on the estuary of the River Torridge in north Devon, with an interesting old bridge; each arch is of a different size. 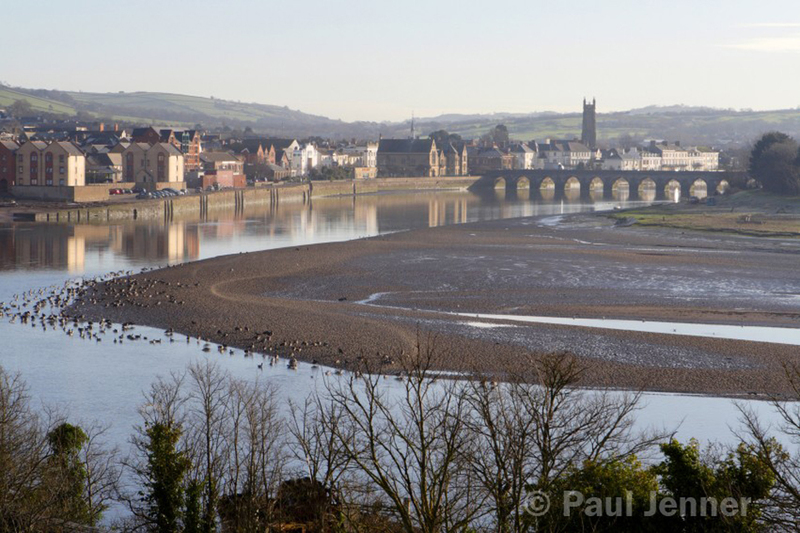 Barnstaple, the commercial centre of North Devon, is approximately 1 hour and 20 minutes drive west from Junction 27 of the M5 motorway, and a 40 minute drive from Hartland and the cottage. RHS Rosemoor Gardens at Torrington not just for gardening enthusiasts but a beautiful tranquil place to while away a warm sunny day. 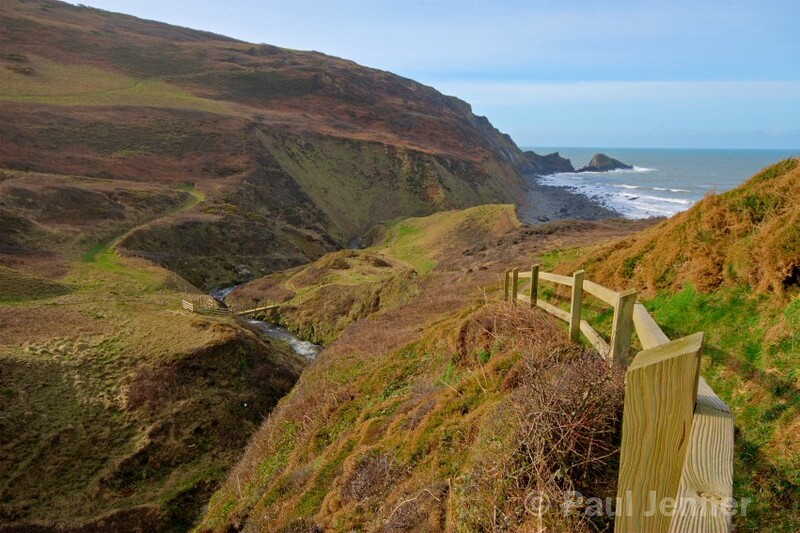 If you wish to venture further afield, head to Croyde Bay via Barnstaple and Braunton (), and on to the pretty seaside towns of Woolacombe, Mortehoe, Lee and Ilfracombe. There is a lovely old pub in Lee called Grampus that has an open mic night every Friday. If you really want to get away, Lundy Island is an idyllic quiet and tranquil place and a dramatic bird watchers paradise off the coast. A day trip is possible in good weather and crossings on MS Oldenburg run from either Bideford or Ilfracombe, depending on the tides. 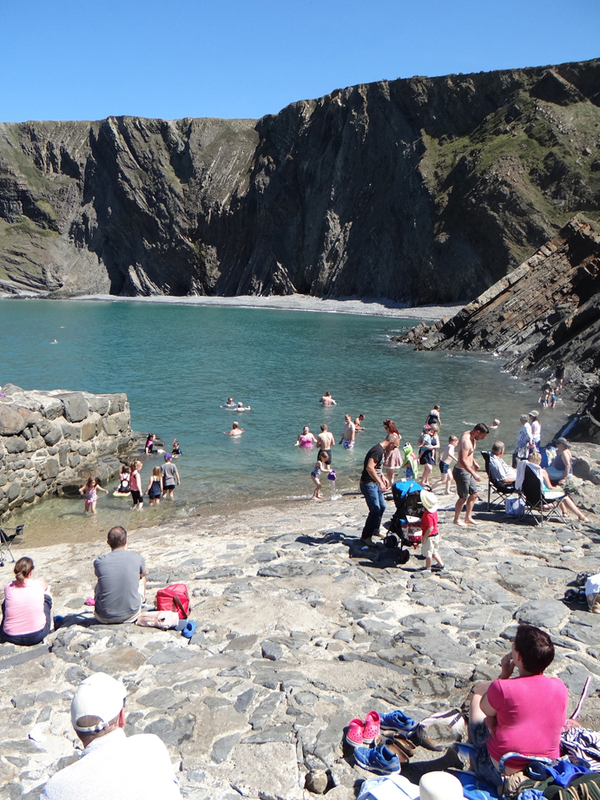 Great for walking along the cliffs, swimming and surfing for the more experienced. It’s a sandy beach with lifeguards and a cafe and toilet. There’s a surf school too. Great for swimming and surfing! Westward Ho! 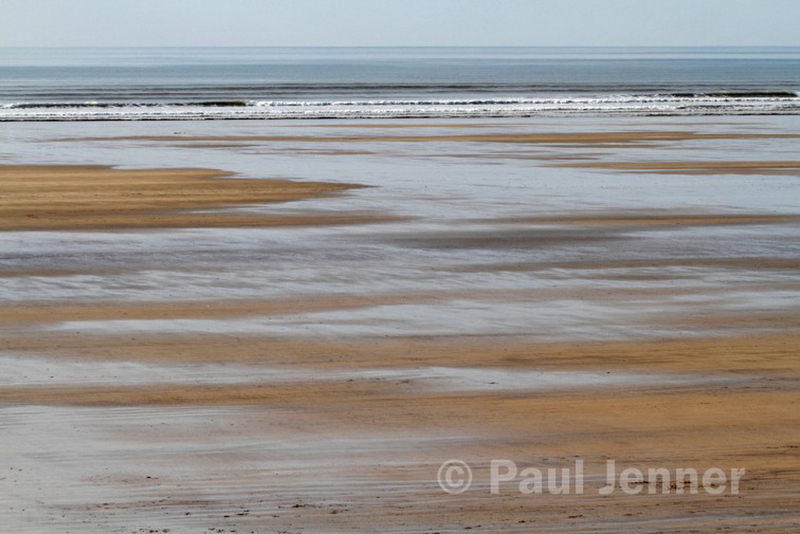 for miles and miles of Blue Flag sandy beach – excellent for surfing and kite flying. Great spectator sports – that is if you aren’t joining in yourselves. Indoor arcade for rainy days. Good fish and chips. Moran’s Restaurant and Bar. Fabulous Thai food also in Westward Ho! There are lots of surf shops and bars in Bude. It’s the hotspot for local night life. There are sandy beaches which are also good for surfing and swimming. Bude Surf Cabin (7A Morwenna Terrace) is the best place to hire surfing gear. Less than 2hr away is the Eden project with its giant bio domes nestled in the Cornish countryside . Here you will find crops, landscapes and wild plants which reflect the amazing diversity of our planet. There’s also internationally famous architecture and art which draw inspiration from nature and a stage on which people working to make our world a better place can tell their stories. From Bulb Mania in Spring, to Summer Den Building or our magical Christmas ice rink, find out how Eden changes through the year. St Nectan’s Church at Stoke.